Ra.One — the most insane Indian science fiction movie of all time? Ever since the robot epic Enthiran became one of India's most successful movies ever, the stakes have been rising for Ra.One (Random Access One), the rival science fiction movie from Shah Rukh Khan. Here's our first look. We still don't know much about the film, except that SRK's character is called G.One, and he's some sort of superhero — and above is our first look at him. A bit of backstory: Bollywood superstar Shah Rukh Khan (SRK) was set to star in Enthiran, the killer-robot movie from director S. Shankar, but left that project over creative differences. But then Enthiran turned out to be a megahit — and there was a lot of talk that the story and action set-pieces in Ra.One were way too similar to Enthiran. 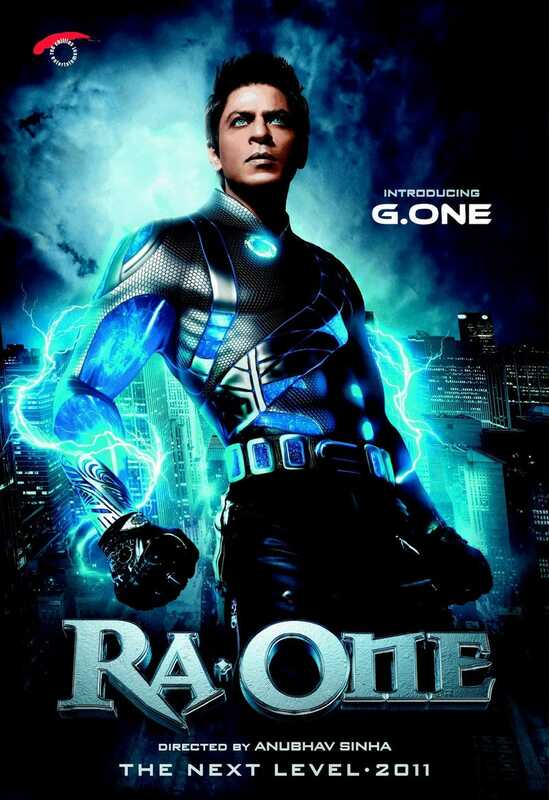 So Ra.One has had to be retooled to make it different, and more time is being spent in post-production beefing up the effects, delaying the release from the first half of 2011 to around October. huge blue screen...100 cars.... cranes wires... gawd I am making a film beyond my means. Will be dancing on the streets to pay for all this.